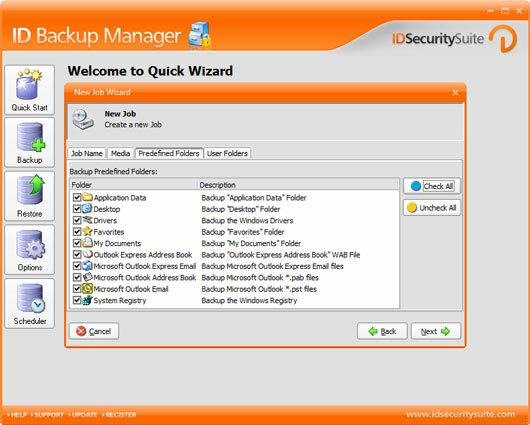 ID Backup Manager is a utility program designed for registering an automatic backup of your vital system files on any media storage type, like CDs or DVDs. It allows you to later restore all of your files with a simple push of a button. Main features includes: backup and protecting of your vital information, offers differential backup mode, encrypting using the efficient Rijndael algorithm, compressing and storing all personal files.